Is this what you want too? We can guide You in Your journey and save you tremendous amount time and money figuring out on your own! Kathlyn Toh is a professional trader who earns her wealth from investing and trading in the US & global equity markets. In her previous career, Kathlyn has 17+ years experience in working with diverse teams across disperse geographical location for Intel Corporation. 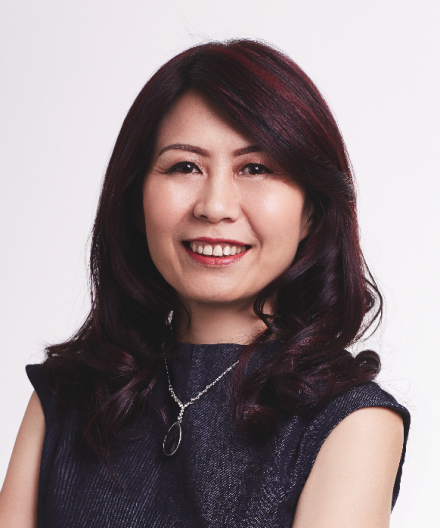 She managed a global team across US, Costa Rica, China, Philippines and Malaysia as well as a department of more than 100 people in the APAC region. She has conducted and facilitated many successful leadership, management and employee development trainings while working in Intel. Kathlyn has served as voluntary coach, facilitator and crew member at several international seminars related to personal mastery. She has also coached and trained more than 2000 investors and traders in the past few years. During her tenure in Intel she has been recognized as a role model manager who cares for bringing out the best in people. By practicing the skills that she learnt on psychology of people transformation, she was able to improve her consistency in her own trading significantly – she left her full time high pay job in Intel to pursue her passion in investment, trading, training and coaching. Kathlyn started her stock trading journey in the KLSE stock market way back in 1993 and US Stock Market in 1997. She then pursued Options trading in Jan 2005. Since then she has traded actively in US Stocks, Options, CFD, Forex and some Commodity Futures. She consider herself fortunate to have experienced the full cycle of the Bull Run, the market crash, after crash recovery, the sideway markets and the high volatility markets like the recent ones which gave her great experience in adjusting her strategy depending on the market conditions. She is very passionate about coaching people on trading psychology based on her personal journey managing her own psychology in trading. Consistent Success in trading is 90% psychology + money management & just 10% mechanics especially when you have got the initial learning curve out of the way. Unfortunately most people still focus too much on strategy. She spent a lot of time researching and practising how to break her own trading habits and instill positive ones. She collects feedback from students on their challenges and studies them to device ways to overcome them using the skills she learn from Tony Robbins (on people transformation) and Master NLP Practitioner and Master NLP Coaching. Refer to the testimonial page on feedback from students that she and her team has trained and coached.